La Foudre is one of the pioneers of the French motorcycle history. The factory chose as many contemporary companies did- to equip its machine with the famous ca. 350cc inlet over exhaust Buchet engine. The inlet valve works on the atmospheric principle, the exhaust valve is operated by pushrod and rocker. Ignition is by accumulator and coil, which was a popular and relatively reliable system in the early years of the motorcycle. 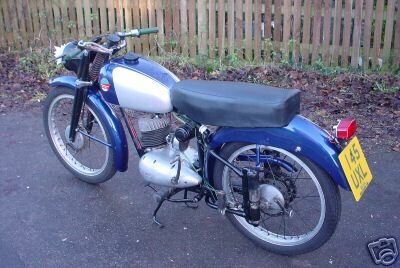 Ignition timing can be controlled by a lever on the top tube, while a Longuemare carburettor is employed to feed the engine. On the side of the petrol tank we find the hand oil pump. A front as well as a rear brake are available, tyres are 26. 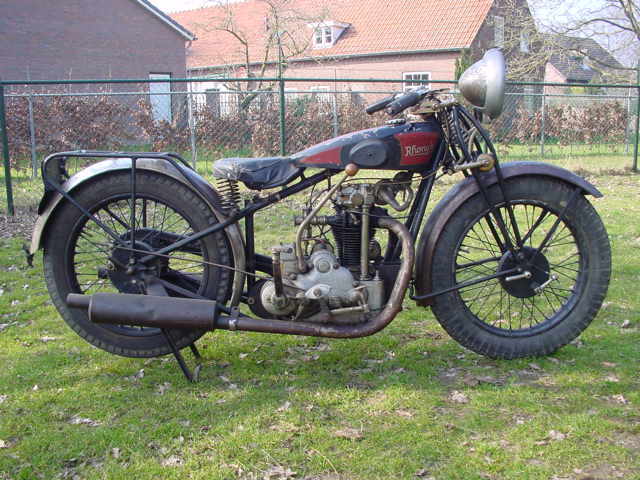 Lady motorcycles were manufactured between 1924 and 1940 in the Antwerp region in Belgium. Although Belgian-built, most machines were designed along British lines and equipped with British engines and gearboxes. In the early years only Villiers two stroke engines were used, from 1927 also four stroke engines were utilised, notably JAP and later Blackburne and AJS. MAG engines were also built in for a time. Lady had quite a few sporting successes in Belgian races in the twenties and thirties; the factory was very early to adopt rear-sprung machines in their range. Arturo Magni, team manager of the all-conquering MV Augusta race team, set up in business under its own name after MV's closure in the mid-1970s. 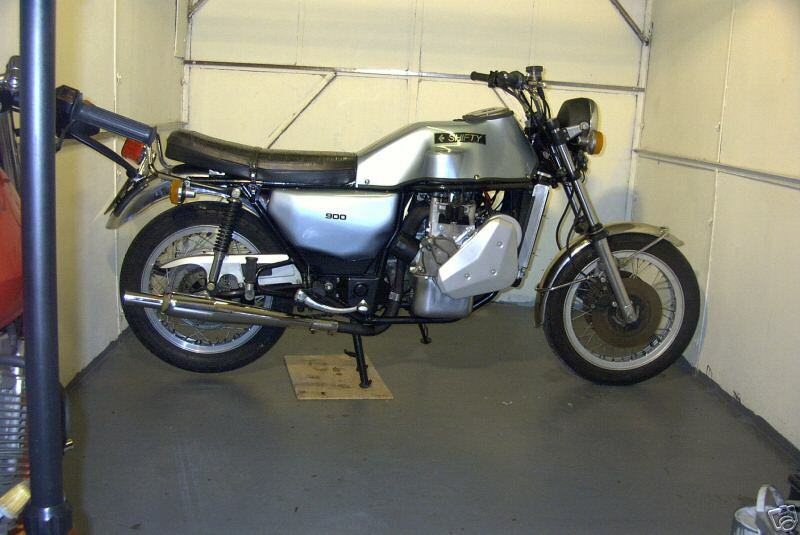 Magni produced chassis kits for MV roadsters and then complete bikes around Honda's CB900 four. Later Magnis have used Moto Guzzi's V-twin engine, notably the retro-styled Sfida and the sleek, fully-faired Australia sportster. 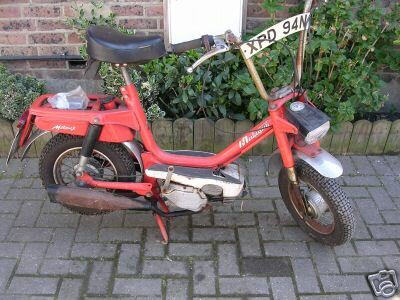 1974 Malaguti Scoter 49cc, 2bhp. 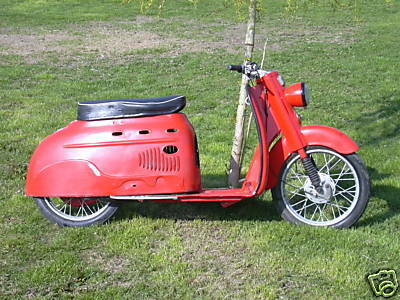 1960 Manurhin Beltomatic Scooter 74cc. 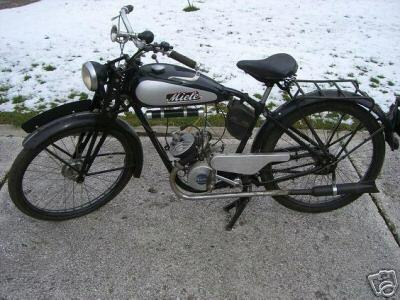 Moto Morini was founded by Alfonso Morini in Bologna, in 1937. 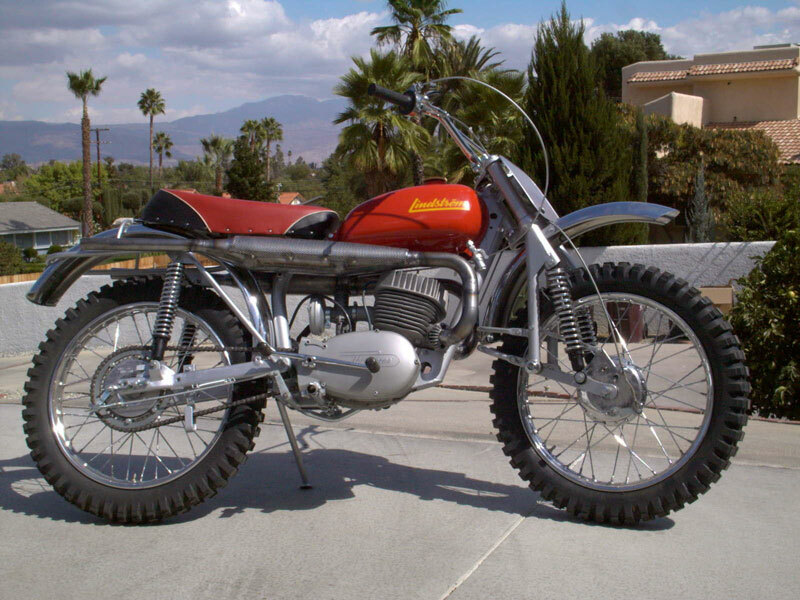 Earlier, Morini had also manufactured motorcycles together with Mario Mazzetti under the name MM. 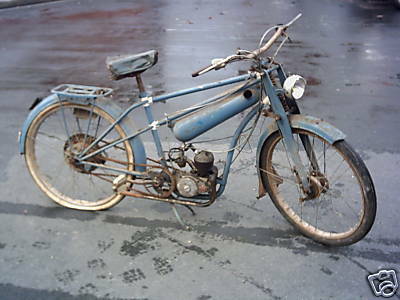 The most memorable of several manufacturers calleds Mars was the German firm that produced a 959cc flat-twin roadster, the MA20, which featured an innovative pressed-steel frame in the 1920s. 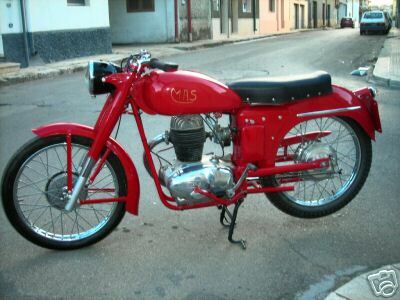 Mars built small-capacity two-strokes until ceasing production in the late 1950s. 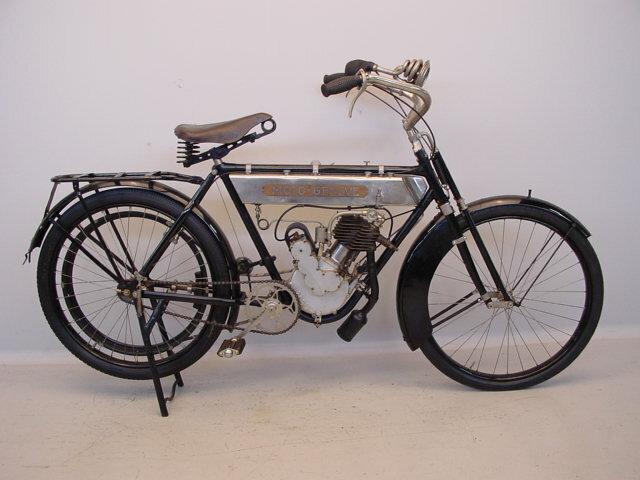 Martinsyde was a British aircraft and motorcycle manufacturer active from 1908 to 1923, based in Woking (with premises also in Brooklands). The company was first formed in 1908 as a partnership between H.P. Martin and George Handasyde and known as Martin & Handasyde. In 1912 they renamed the company Martinsyde Ltd. The company went into liquidation in 1923 following a disastrous fire in 1922. The aircraft division was taken over by Aircraft Disposal Company (ADC). 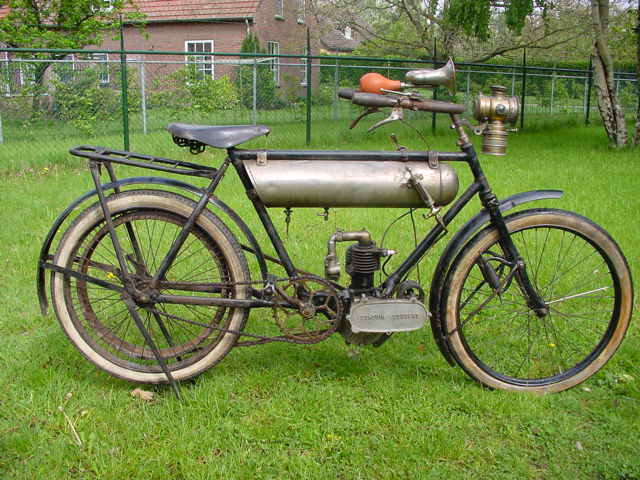 The company produced motorcycles from about 1919. The motorcycle division (the marque and existing spare parts) was purchased in 1923 by BAT Motor Manufacturing to become BAT-Martinsyde and continued limited production until 1926. A leading Japanese manufacturer in the 1950s and early 1960s, Marusho was best known for its Lilac range of 125, 250 and 300cc V-twins. 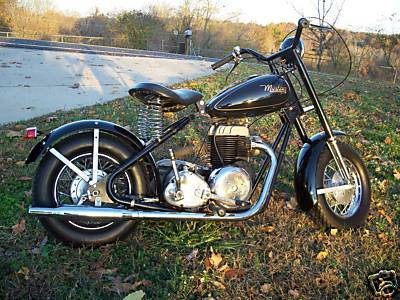 The firm produced a series of flat-twin roadsters before going out of business in the late 1960s. 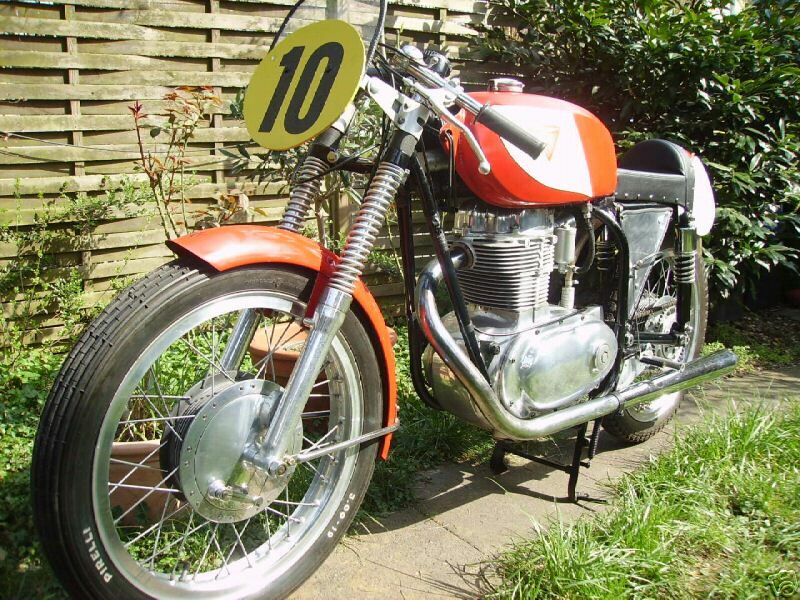 Maserati Motorcycle 50/T2/SS 1960 Very rare motorcycle. 50 cc. two stroke. 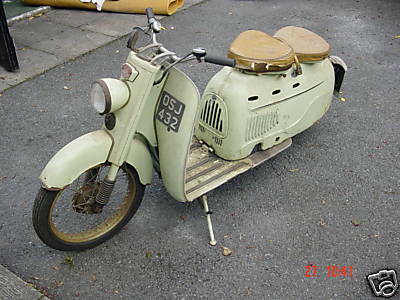 This bike has a dual-beam back-bone frame, wrap-around front mudguard and a megaphone exhaust pipe.The unusual 'back-bone' design of the 50/T2/SS gave rise to its nickname: ''Rospo'' (toad). One of the strangest motorbikes of all time, the Munich-built Megola was powered by a radial five-cylinder engine situated inside its front wheel. 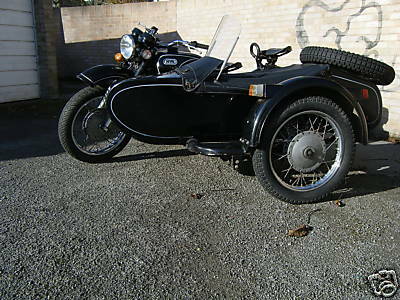 Almost as unusual was the sheet-steel frame, which gave an armchair riding position. 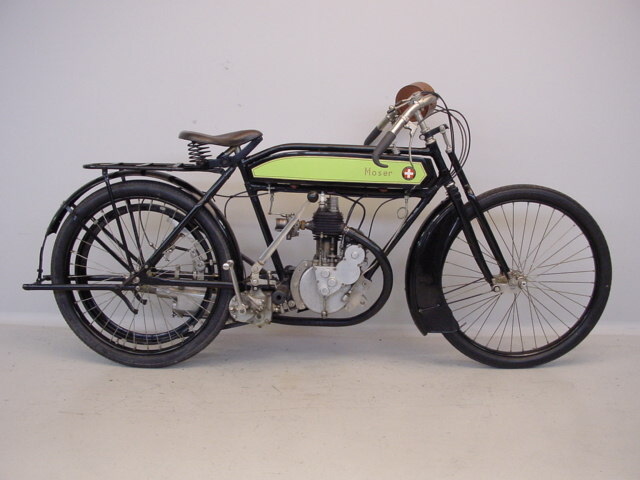 The 640cc side-valve motor produced 10bhp and in sports form thew single-speed Megola was timed at 90mph (144kph). Despite its unconventional design, some 2000 Megolas were built between 1922 and the firm's closure 1925. Founded in 1924, Meguro was one of the earliest Japanese motorcycle manufacturers. 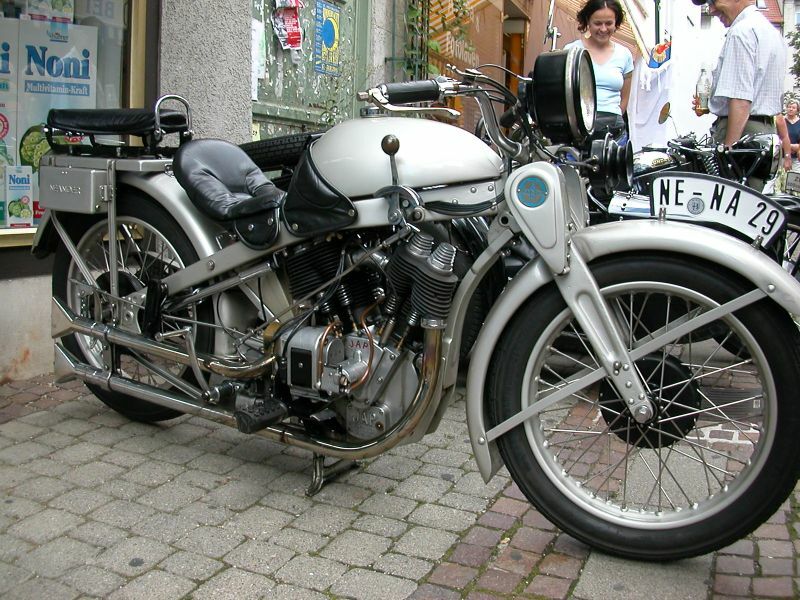 In the 1930s the firm's main bike was the 500cc Z97, a copy of the Velocette MSS. 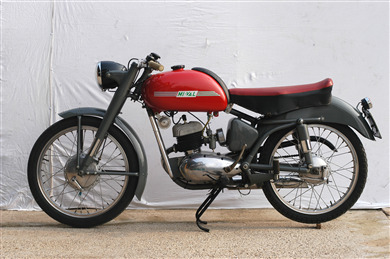 Meguro expanded to build twins in the 1950s, such as the 500cc K1, a copy of the BSA A7. 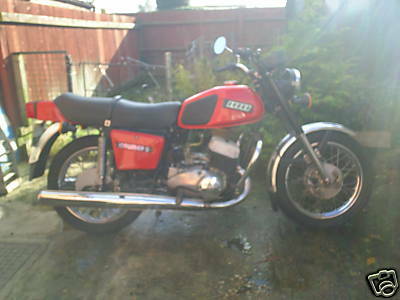 But sales fell and following a strike the firm was taken over by Kawasaki in 1960. Vilem (=William) Michl was born in Slany ( now Czech republic) in 1859 and started manufacturing high quality bicycles from English fittings in 1894. 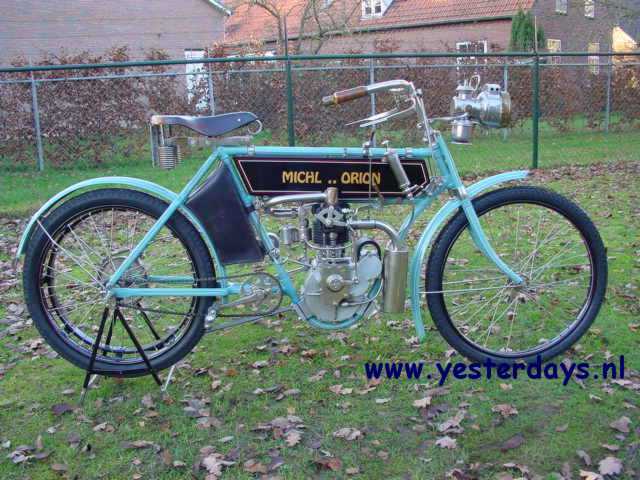 The company prospered and in 1902 Michl marketed his fist motorcycle under the name “Orion”. Year after year the design was developed further and production of high quality singles and twins continued till 1914. fter World War I production was taken up again in 1922 and Vilem’s son Zdenek created a number of successful designs. 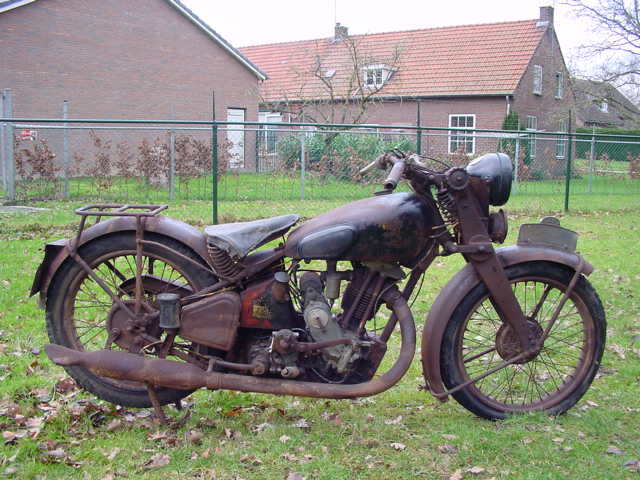 Orion machines had many sporting successes till the company stopped motorcycle production in 1933. 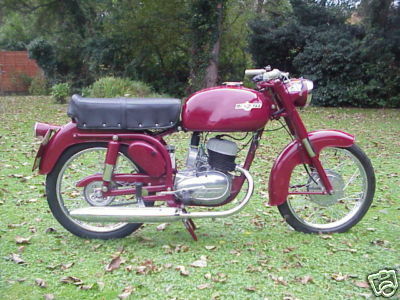 1960 Mival Sei Giomi 125cc. Germany motorcycle manufacturer from 1953 to 1962. 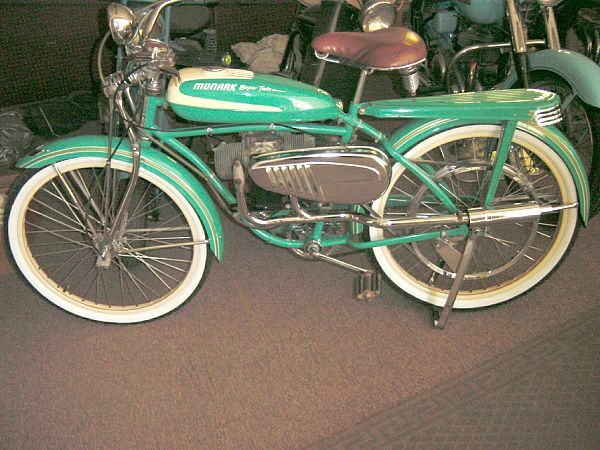 In the 1950s, Monark had a successful record in off-road motorcycle competitions. 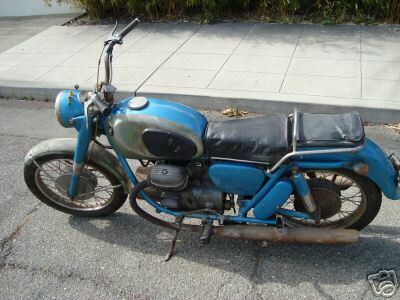 In 1954 they entered 8 bikes in the International Six Days Trial, a form of off-road motorcycle Olympics. All 8 Monark riders finished with Gold Medals. In 1959, Sten Lundin won the 500cc motocross world championship for Monark. Giancarlo Morbidelli was born in 1938 building up a successful woodworking machinery business in Pesaro during the 1960's. This provided the means for him to indulge in his passion for motorcycle racing and ultimately to build his own competition machines and witness them winning World Championships.The seld-made businessman used his huge woodwork machinery firm to finance production of some superb race bikes. Morbidellis won three consecutive 125cc world titles in the mid-1970s plus the 250cc crown in 1977. 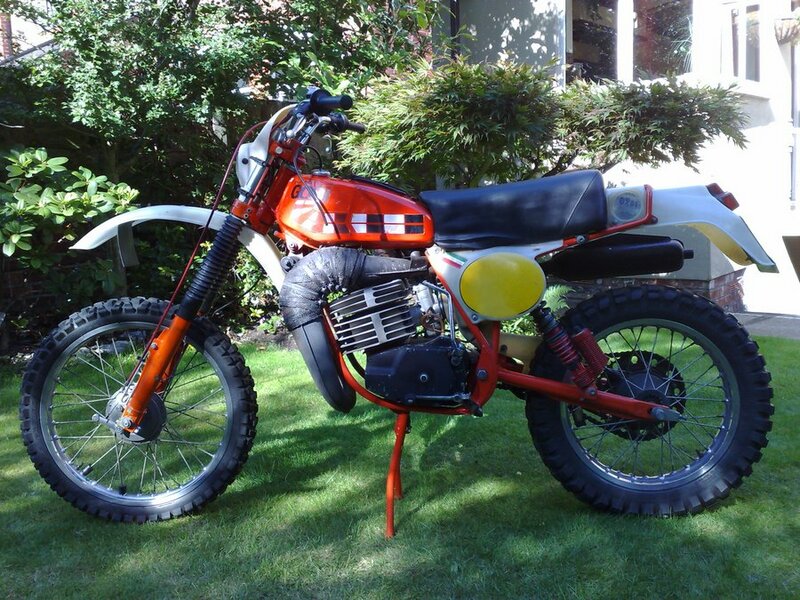 Another 125cc title was added the following year, after the MBA firm had been created to produce replicas and the two-stroke twins remained competitive for several more years. 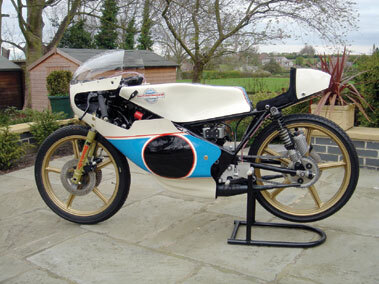 His first machine, built in 1968, was a 50cc racer that secured the marques first world championship points. 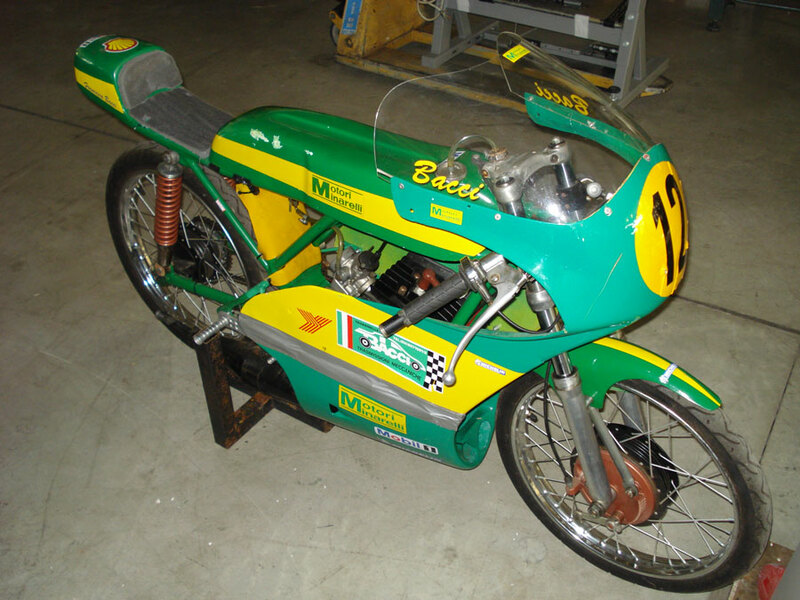 1970 saw the unveiling Morbidelli's first 125cc racer. Ultimately the team would win World Championships in the 50, 125, 250 and 350 classes, four of which were manufacturer awards and five riders championships. A four-cylinder 500cc racer proved less successful and Giancarlo Morbidelli finally quit racing. In 1994 he developed a prototype roadster powered by a purpose-built 850cc water-cooled V8 engine but the strangelt styled sports tourer did not reach production. 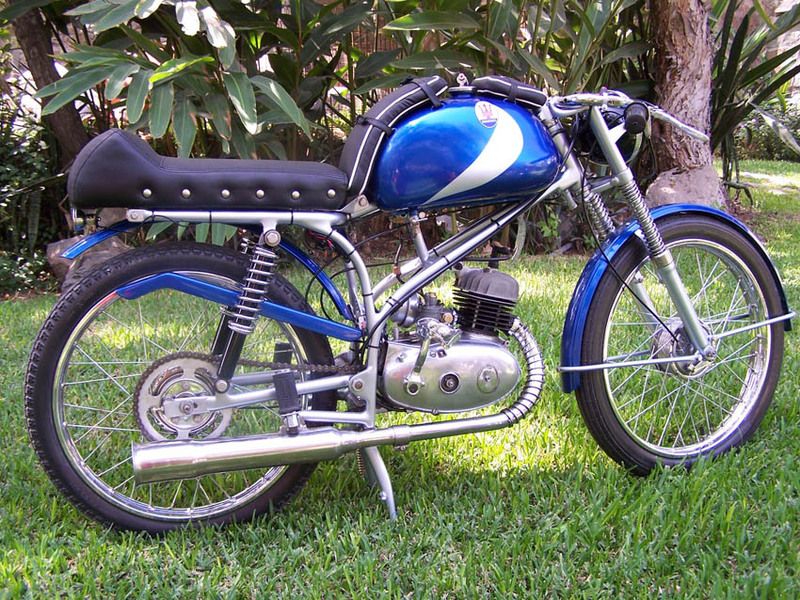 This delightful blue and white example of a late "twin shock" machine was restored to original specification at the Morbidelli Museum Workshop during 2006 using many new parts. It is described as being in "as new" condition throughout following the restoration. 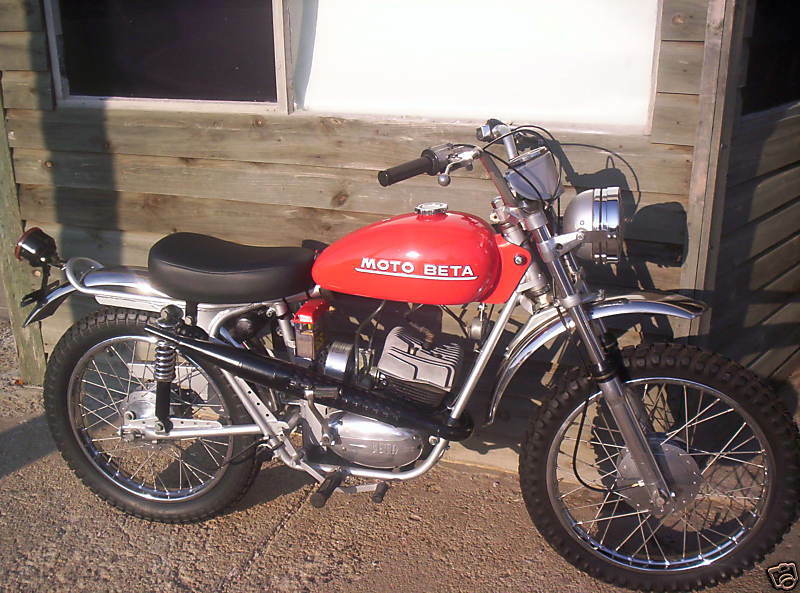 1971 Moto Beta 100 MADE IN ITALY, THE NEW GAS CAP IS LIKE A DUC 450 RT, WHICH STARTED IN 71, AND IT HAS A SQUARE SLIDE DELLORTO, MARZOCCHI FRONT FORKS, PIRELLI TIRES 3.50 X 18 REAR AND NEW 2.75 X 19 FRONT. 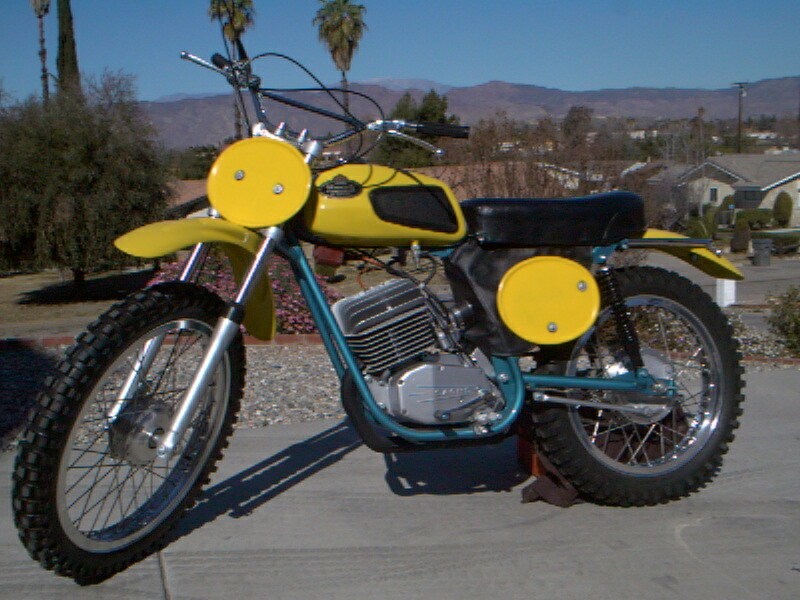 1976 Moto Gori 250RG 245cc, 7-speed. 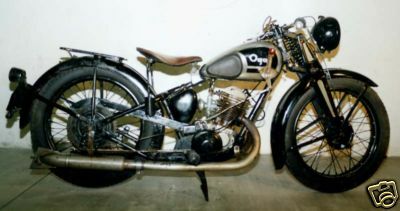 The Milanese Motom Italiana Spa concern commenced production of motorcycles in 1947, initially, like many of its rivals with a clip-on power unit for cycles. Unlike the majority of the competitor's products, the Motom clip-on was an over head valve 49cc design of high quality. This unit established a precedent for ultra lightweight four stroke production that would continue for virtually the whole of Motom's involvement in the motorcycle market. The new unit subsequently provided the motive power for the firm's first complete machine. 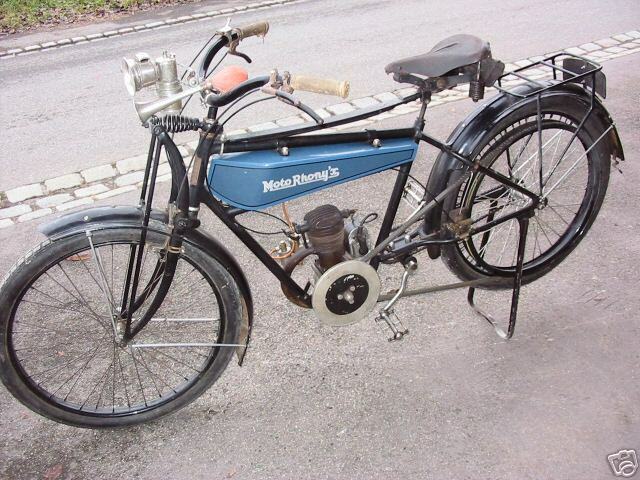 The car-engined monster bikes produced by German engineer Friedel Munch since 1966 have been some of the biggest and most expensive on two wheels. The first Munch Mammut models were powered by an air-cooled 1000cc four-cylinder NSU car engine, held in a huge chassis based on a twin-shock tubular steel frame. By the early 1990s almost 500 had been built, later models with capacity of up to 1966cc and weighed over 350kg. 1962 Mustang Stallion Deluxe It has the 4-speed Burman gear box, wire wheels, stock exhaust, and the original Dellorto UBF22 carb (with the original Dellorto air filter). 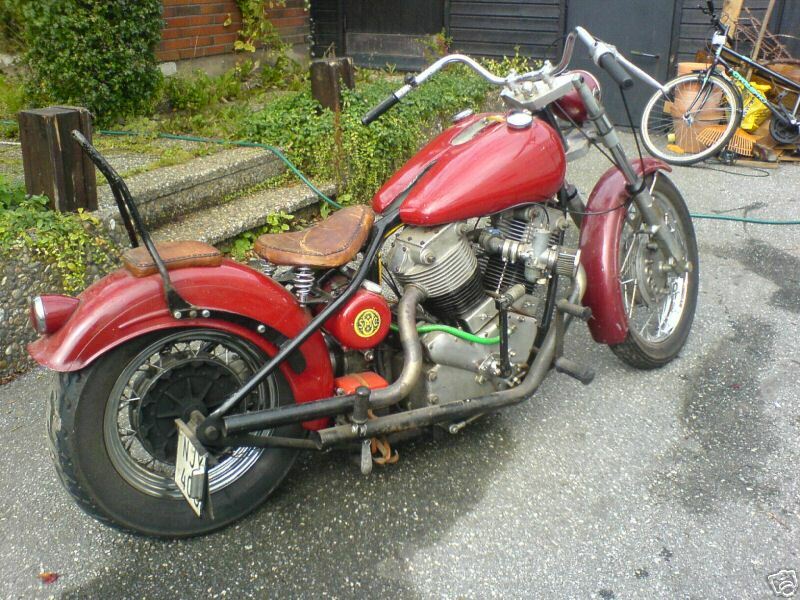 This bike was professionally done and runs like a top. Everything works like it did in 1962... the lights, brakes, everything. 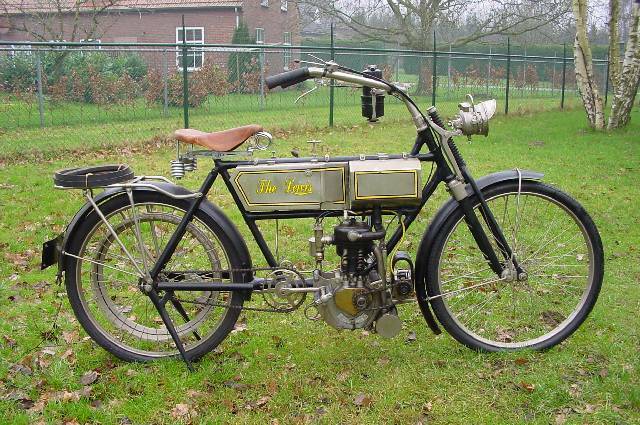 Although production models from NLG used fairly orthodox 499cc and 770cc V-twin JAP engines, its frame came from the 2913cc JAP unit fitted into an NLG frame which reached the dizzy speed of 90mph in 1909. NLG produced motorcycles between 1905 and 1912. 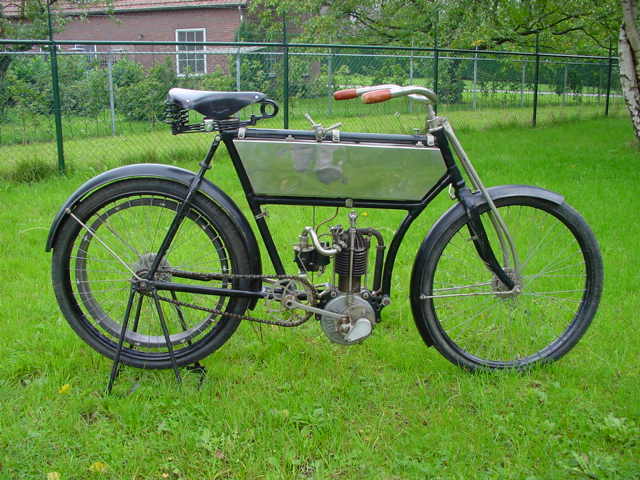 Onoto Autocycle 50cc 2 speed Onoto autocycle 50cc with 2 speed VLT motor. Built in the town of Dole in the Jura region of eastern France and believed to be a 1951 model. 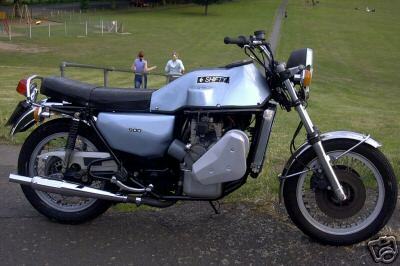 This bike featured in issue 17 of Realclassic magazine.